The concept of resilience seems to be quite a popular lens of analysis in the development world right now. Projects in all sorts of sector, from climate change and water security to disaster programming. Much like a spring, resilience is the ability to bounce back after an impact. At the heart of resilience is absorptive and adaptive capacity of household and community livelihoods. One very useful livelihood framework is DFID’s, which maps out the human, natural, financial, social, and physical capital that exists and puts these assets in context of the institutional processes, the vulnerability context, and the livelihood strategies (see below). One can go into much more detail in terms of various ways of measuring the resilience itself, as ODI does in this recent publication, but the take-home lesson for now is that resilience (or vulnerability) is shaped by livelihood capacities to ‘weather the storm’ and/or adapt to external shocks – and still bounce back. As you might imagine, this framework of analysis is highly relevant to emergency relief in flood or other disaster situations, where households suffer physical, financial, and other losses. It is also very useful, and often employed, in the context of climate change, as the abilities of households and communities to prevent, mitigate, and adapt to both incremental effects of climatic changes and the increased severity of weather events. Issues of food security also lend themselves very well to this lens of dealing with external shocks. Lastly, urban management concerns, from flooding, water supply planning and sanitation to the health impacts thereof, often speak of the importance of building resilience. Are you working with donors who emphasize the importance of resilience? I would love to hear from you about how you are translating this theory to actionable interventions. 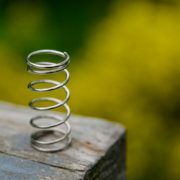 http://www.edbourqueconsulting.com/wp-content/uploads/2017/05/Spring-coil-stock-photo-Pixabay.jpg 640 960 admin http://www.edbourqueconsulting.com/wp-content/uploads/2016/02/cropped-cropped-63950_Ed_Bourque_Consulting_logo_01latest-300x141.png admin2017-05-13 21:22:062018-12-26 21:52:49What is resilience and why does it matter?